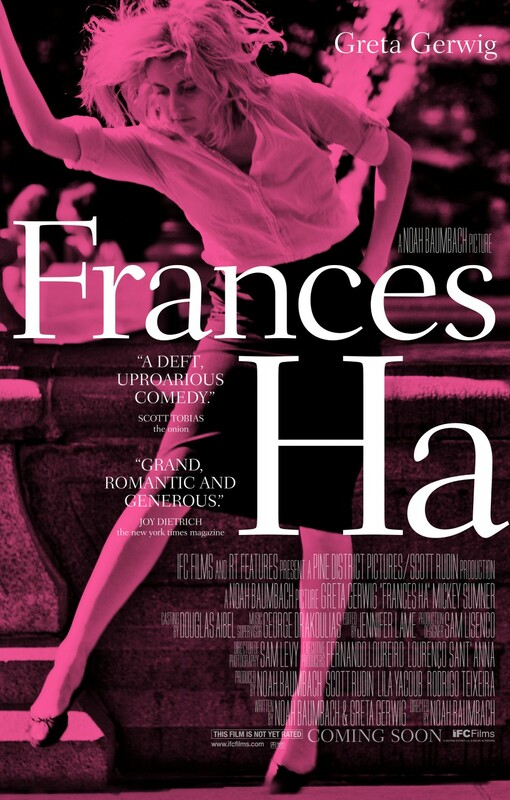 If, like me, your most thrilling adventures were had in art houses seeing the golden age of American Indies in the eighties and nineties – the early Spike Lees, Michael Moores and Kevin Smiths, the Linklaters and Sayleses and, indeed, the early Baumbachs – then Noah Baumbach’s new film Frances Ha will take you back to a very sweet place before its actual storytelling qualities take you in. Shot almost entirely with a static camera, in long takes (and very often aping the early-indie style of an entire scene simply being one still, long take), in black and white that looks like film stock from c.1991, the film is almost certainly an homage to those days, and those films. What’s very cool is that it’s also definitely more than that. 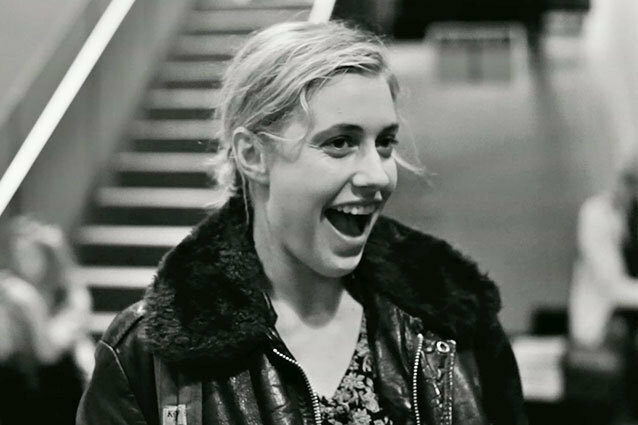 A defiant character study (I think Greta Gerwig, as the eponymous Frances, is not only in every scene of the film but may actually be in every shot of the film), Frances Ha traces a brief but important year-or-so in the life of a somewhat aimless, somewhat privileged, somewhat ambitious, somewhat likable New Yorker. The film boldly – and ultimately successfully – vastly favors character definition over plot, and favors character detail over laughs – although the second half (much more than the first) is very funny. Baumbach has definitely made more sophisticated films, and by sophisticated I guess I mean more technically and thematically ambitious. 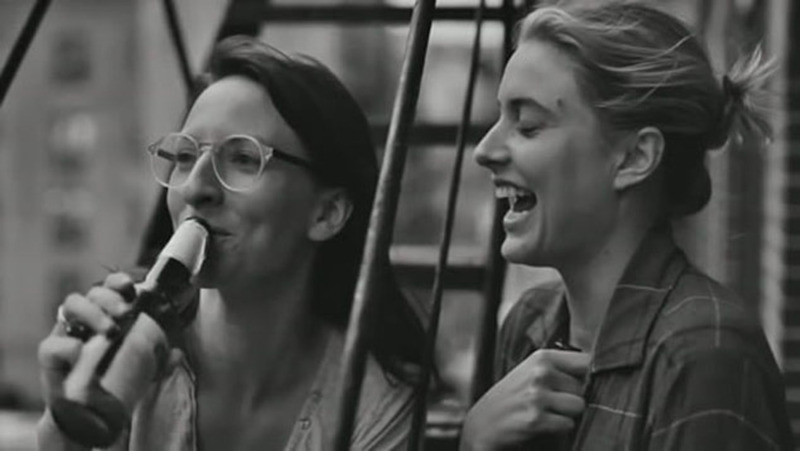 In many ways, Frances Ha is a love letter. It is in no way hidden that Baumbach and Gerwig are a couple, that they wrote this film together for her to star in, and that they’ve got another child – by which I mean film – on the way. The way Baumbach shoots Gerwig, especially towards the end, is full of love (and the film is very “early Woody Allen” at times, and Gerwig very much evokes Dianne Keaton in Annie Hall, if not in behavior, then as Muse). This is not a bad thing. Just because Baumbach obviously loves her, it doesn’t mean we can’t too. There’s something about her. If this is her calling card film, she deserves it. If it’s simply a quietly amusing, ultimately satisfying, richly detailed portrait of One Girl in the Big Apple – well, that deserves it too.